When it comes to your final arrangements, shouldn't you make the decisions? The arrangements you make will reflect your exact wishes and desires. By communicating your wishes, you have the power to provide peace of mind to you and your loved ones. It will also alleviate any questions, problems or differences, which can occur among family members. What is the purpose of planning ahead? Your family is not forced to make difficult decisions at an emotional time. You relieve your family of a financial burden. You can lock in the cost of funeral services at today's rates and avoid inflation. 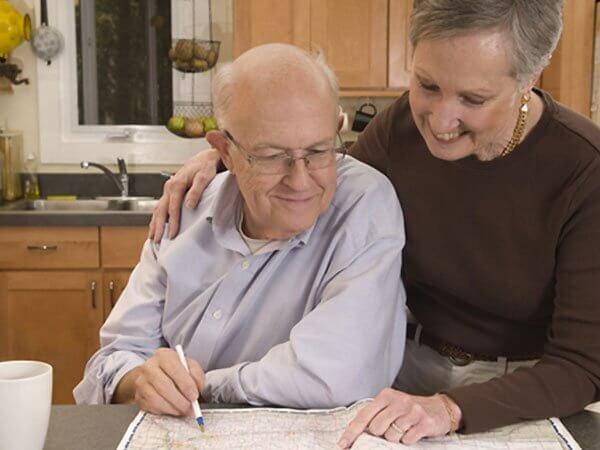 Pre-planning can be one of the greatest gifts you give to your loved ones. You communicate your wishes, your way. What is the right age to plan for my funeral? Funeral planning is for anyone wanting to get their estate in order and for those wanting to relieve their loved ones of the difficult choices and financial burdens that can occur after you are gone. What if I can't afford my plan right now? We have a variety of payment plans and options available. Besides the financial side, it is also important to record your wishes for your funeral service so your family is not forced to make difficult decisions at an emotional time. Should I involved my family in the decisions? Sharing your wishes and desires with your loved ones will help them to understand and accept the decisions you have made regarding your final plans. Having open discussions can help form a closer bond with you and your children. Having meaningful conversations with your loved ones about your life and how you want to be remembered is an important step in preparing for your funeral. To help you start the conversation, we have compiled a list of conversation topics. Click on the link below and start talking today. How To Start The Conversation Document. Click the arrow to download the document.